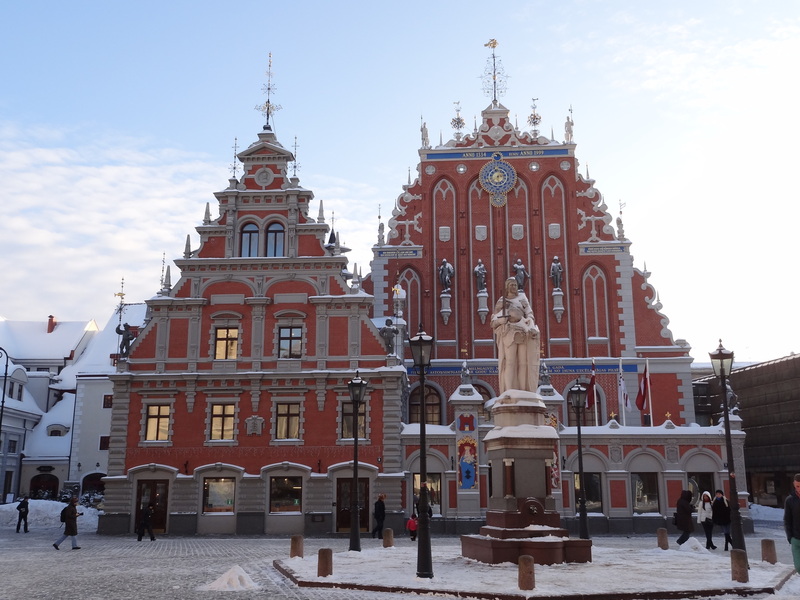 Riga – the capital of Latvia and the place where I was born – becomes the European Capital of Culture in 2014. It promises to be an exciting year so I wanted to tell you a little about it. The European Capital of Culture is a project that’s been in place since 1985 with the goal to “bring Europeans closer together by highlighting the richness and diversity of European cultures and raising awareness of their common history and values” (you can read more about it here). Every year the city chosen as the capital of culture organizes a series of widespread and exciting cultural events. Well, to be precise, in the recent years it’s cities: Riga shares this title with Umeå, Sweden. Riga’s motto of 2014 is Force majeure which roughly translates to superior force and refers to the way culture shapes the lives of people. If you have a few minutes of time take a look at this great video by Deutsche Welle (in English) that tells about some of the events planned in the months to come. The 800 year old and highly multicultural Riga offers plenty of attractions as it is – from wandering around the medieval Old Town to exploring the unique Art Nouveau architecture, from leisurely walks in shopping passages to enjoying the various culinary treats. But this year there will be even more to see and to explore! The World Choir Games in July will bring 20 000 singers from over 80 countries to Riga to compete at the “Olympics of Choirs”, many great concerts by world’s best choirs are on the menu! If you haven’t been to Riga yet you should consider going this year. If you have it’s a great reason for another visit! Sveika, Ilze! Just found your blog; great post about Riga being Culture Capital this year. Have you been able to visit during this year? I was just there in May; was very happy to see Vija Celmina’s exhibit, and was also grateful I had a chance to visit “Stura Maja”, the former KGB headquarters. Thank you, Daina! I’m glad to hear that you enjoyed some of the events in Riga. Sadly I won’t be in Latvia before the end of the year as we don’t want to travel while our baby is so young, so I’m sadly missing out.